Students have continually told us that engaging with Holocaust survivors and their eye-witness accounts first hand is the most powerful lesson when learning about the Shoah. 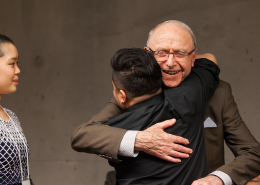 Holocaust Survivor Speakers are survivors of the Holocaust who address more than 15,000 students annually, mostly at schools in the Lower Mainland, at the VHEC, and as part of various educational programs, including Symposia on the Holocaust. Some speakers travel to other communities in British Columbia, Canada and internationally. A small number of speakers are able to address groups in French. 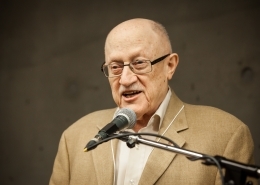 Learn more about the VHEC’s dedicated Vancouver Holocaust Survivor Speakers. Most of what you’ll want to know about Holocaust Survivor Speakers is asked and answered below. If you have any other questions at all, we invite you to contact us. 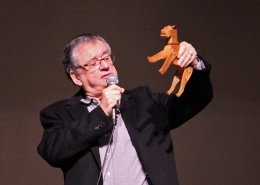 What is a Holocaust Survivor Speaker presentation? Speakers share their memories of the Holocaust with students, including experiences of discrimination, segregation, separation from and loss of family, as well as life in hiding, the ghettos, concentration camps, liberation, and immigration to Canada. 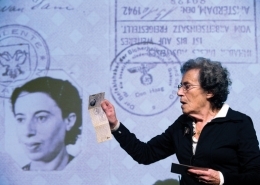 Although many Survivor Speakers are well informed about some aspects of the Holocaust outside of their own experiences, few are expert historians. Their presentations are offered as personal, eyewitness accounts. 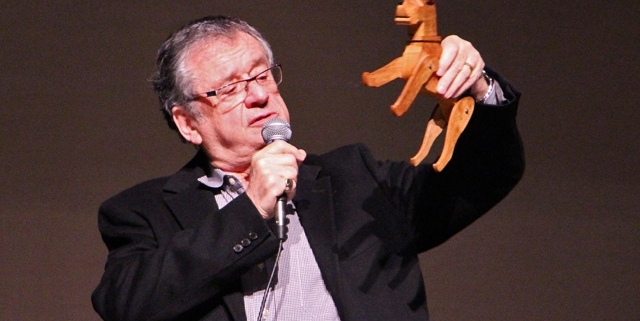 Holocaust Survivor Speakers are available to address school classes at their school in person, or by Skype across BC. A limited number of Survivor Speakers are available to speak to students at the museum following the exhibition tour. Priority is given to grades 10, 11 and 12. 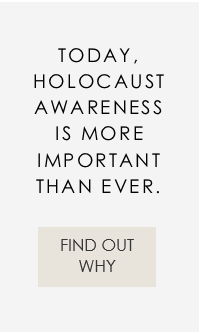 Why should I book a Holocaust Survivor Speaker? 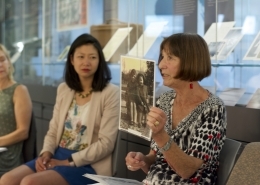 From our extensive work with students, we know that hearing first-hand the experiences of eyewitnesses of the Shoah is the most powerful lesson for learners. Students especially appreciate the opportunities to ask questions directed to the Survivor Speakers after their presentation. Holocaust Survivor Speakers challenge youth to become committed and responsible global citizens, alert to discrimination, racism and genocide in today’s world. We invite you to read responses from students. Engaging with a Holocaust Survivor Speaker prompts your students to think in depth about social justice and human rights. Your students gain a better understanding of what it means to take on individual and social responsibilities as many of the Survivors call upon taking action towards a more just world. How long does a presentation last? Presentations are generally 40 minutes long, followed by a 20-minute question period. Sessions can be booked for the late morning or the afternoon according to arrangements made between the teacher and the VHEC. Who are the presentations suitable for? Recommended class size is 30 students +. The fee for a presentation by a Holocaust Survivor Speaker is $100/class of 30 students up to a maximum of $500. A minimum of 60 students (2 classes) are required when booking a Speaker. All fees for Holocaust Survivor Speakers support the VHEC’s educational programming. If there is a hardship, subsidies or partial subsidies are available. No group will be turned away on the basis of financial need. How do I book a Holocaust Survivor Speaker? Complete and submit the Speaker request form below, or Contact Us. We will select a speaker appropriate to the age level of your audience and the context of the visit. Although a very limited number of Speakers are available for in-house or off-site requests, the VHEC will make every effort to accommodate your request. A staff member will reach out to you to plan the speaking engagement. How do I best prepare students? Including guidelines for preparing your class for a session with a Holocaust Survivor Speaker. Vous y trouverez des conseils pour préparer votre classe à la rencontre avec un survivant ou une survivante, la chronologie de la Shoah (l’Holocauste) ainsi qu’un glossaire de termes s’y rapportant. How can teachers and students reach out to Speakers? Survivor Speakers are touched and always appreciate hearing from students, parents, teachers and others. We ask that you kindly appreciate that it’s often difficult for survivors to respond personally to the many letters they receive. Students wishing to interview a survivor as part of a school project are asked to join a scheduled presentation at the VHEC, view a video testimony, or ask their teacher to arrange for a Speaker. Increasing requests for Speakers make individual requests difficult to accommodate. Due to the high volume of requests for Speakers, we recommend that you book at least two weeks in advance. We would appreciate 3 days cancellation notice. Contact us and we’d be happy to answer any questions you may have. Complete this form to request a Holocaust Survivor Speaker. We ask that you clearly indicate any special requirements for your group. Once you have submitted your form, one of our staff members will contact you to confirm your registration. Thank you for your interest in this school program. Any special requirements or other information?